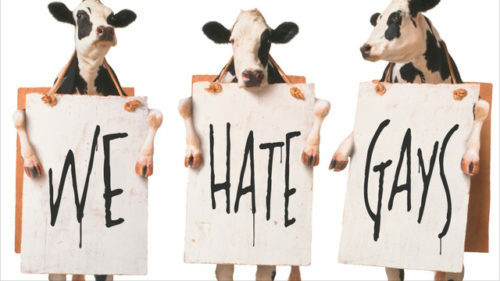 Chick-fil-A, the notoriously anti-LGBTQ fast food chain, is celebrating their first major international expansion, but many Canadians aren’t coming to the party. The company plans to open 15 locations in the Toronto area within the next five years. The chain already operates a location in the Calgary International Airport. Canadians, however, don’t seem to care for the taste of “hate chicken.” And now they’ve taken to social media to protest, using the hashtag #BoycottChickFilA. “They have no business in a progressive and multicultural city like Toronto,” one user tweeted. User Tom Robson wondered if the chain would fall afoul of the country’s laws. “A company so blatantly opposed to LGBTQ rights should be prohibited from investing and operating in Canada,” he tweeted. But Corey Mintz may have the best perspective on the fast food chain.